As most of my close friends whould know by now, a couple of months ago I embarked on something that has changed my life immensely!! As you well know, I am the type of girl that loves to feel and look good and by saying that, we all realise that it gets harder and harder as time goes by and the years creep up on us. So when a close friend approached me about another Beauty Product, I was very hesitant and thought, ” oh…here we go again, another one of those”! !…and ignored it. I saw her again after about 6 weeks and could not believe the difference, she was radiant and it looked like she lost at least 10 years in such a short time!! Now I am NOT easily convinced about just any fly by night product and I certainly will not identify myself with crap….but seeing what it did for her, I thought I’d give it a go. My journey with Arbonne started and I have not looked back one single second!! Most importantly, we as woman don’t realise what we put on our skin on a daily basis. A study published by Bionsen, a company in the United Kingdom that sells aluminium-free body products, found that the average woman applies 515 chemicals to her face a day!!!! Yes, you have read it right!! Make-up, perfumes, lotions, mascara and other beauty products all contribute to the toxic brew that is causing health problems for many woman. Arbonne products are formulated without ANY animal products, animal by-products or mineral oil!! It blew my away when I found out where these animal by-products come from! Farm animal carcasses (including all the steriods and hormones pumped into livestock), euthanized pets from vets and shelters (including insecticidal flea collars) road kill and the entrails from slaughterhouses. These carcasses are sent to rendering plants where they are boiled. Fat rises to the top, is skimmed off and sent to a purifying plant. (Who do you think is their biggest customer?) They shipped to the major cosmetic companies around the world where it is used as thickeners and expaders in most skincare, cosmetics and hair care. So in the end, we put all the hormone altering and cancer chemicals on your bodies!!!!! 97% of skin care, make up and toiletries on the market today contain animal fat and are tested on animals!! So why is Arbonne so different, you would ask? Swiss Formulated products, (La Prairie, Valmont and ARBONNE) are normally extremely expensive and not readily available, primarily only for the very rich and famous. Because Arbonne distribute only through Direct Selling Method, we all can now buy SWISS SKINCARE at VERY affordable prices!! 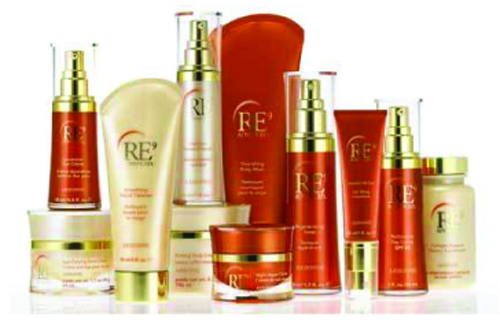 It is time to outgrow ageing ladies…….reverse, repair, rejuvenate and renew in a safe way!!! I am soooooo passionate about this and need to share what it did for me!!!!! This entry was posted on April 18, 2010 at 9:20 am and is filed under Uncategorized. You can follow any responses to this entry through the RSS 2.0 feed. You can leave a response, or trackback from your own site.